The 50 litre pressurized container provides a fine, controllable mist at the nozzle (Sold separately). Comes complete with all hoses, fittings, pumps, tanks and brackets. 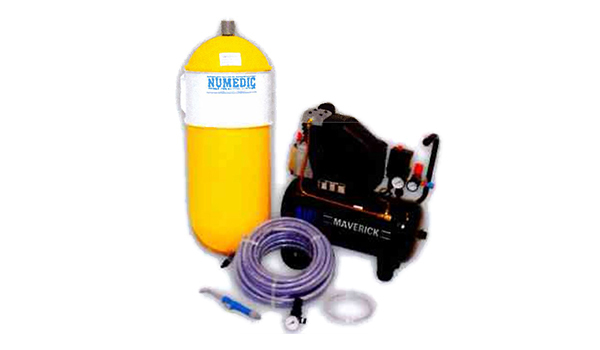 The teat spray system requires an air compressor to operate which makes it an ideal partner to a Deluxe Metered Drenching System or is available separately through Numedic.